Rihanna has teamed up with American funk rock band N.E.R.D. for their return single “Lemonade,” which is now available via iTunes, Apple Music, Amazon, Google Play, Tidal and all other digital streaming platforms. Written and produced by group member Pharrell Williams; “Lemon” marks the first promotional cut from N.E.R.D.’s upcoming studio collection under Sony Music Entertainment / Columbia Records. Meanwhile, Rihanna is currently working on her upcoming ninth album, which will be distributed via Westbury Road Entertainment in partnership with Roc Nation Records (US) and Virgin EMI Records (UK). Among the songwriters and producers who contributed to the follow-up to 2016’s “Anti” are TMS (Nick Jonas), Camille “Kamille” Purcell (Bebe Rexha), Diztortion (Craig David) and Rachel “Raye” Keen (Justin Skye). Stream the audio clip for “Lemon” below. Diztortion has been enlisted for Rihanna’s upcoming ninth album. Born Raoul Lionel Chen, The Dutch-Surinamese record producer and songwriter’s resume boasts works with Taya (“Deeper”), Sasha Keable (“Put Your Love on Me”), Melissa Steel (“I’ll Be There”), Ina Wroldsen (“Mad Love”), Craig David (“For the Gram”) and Sigma (“Redemption”). Among the fellow songwriters and producers Diztortion has collaborated with are Nicola Roberts, Felix Snow, Hayley Warner, Al Shux, Audra Mae, Tom Havelock, Katie Pearlman, Zac Poor, Niara Scarlett, Arnthor Birgisson, Eyelar, Cass Lowe, Ayak Thiik, MNEK, Tanya Lacey, and Levi Lennox. Meanwhile, Rihanna’s next studio collection and follow-up to 2016’s “Anti” is expected to arrive later this year via Westbury Road Entertainment in partnership with Roc Nation Records (US) and Virgin EMI Records (UK). The still-untitled collection reportedly boasts further contributions from TMS (Anne-Marie, Jess Glynne), Camille “Kamille” Purcell (Jessie Ware, Louisa Johnson) and Rachel “RAYE” Keen (Mabel McVey, Ray BLK). Stream the audio clip for “I’ll Be There” below. Rihanna has drafted the songwriting and production services of TMS for her upcoming album under Westbury Entertainment and Roc Nation Records. Composed of Peter “Merf” Kelleher, Benjamin Kohn and Thomas “Froe” Barnes, the London-based trio are known for their works with Louisa Johnson (“Best Behaviour”), Dua Lipa (“Bad Together”), Leona Lewis (“Another Love Song”), Emeli Sande (“Read All About It”), Carly Rae Jepsen (“Body Language”), Madison Beer (“Melodies”), Sinead Harnett (“She Ain’t Me”), Fleur East (“Gold Watch”) and Jess Glynne (“Don’t Be So Hard on Yourself”). Even though no release date has been scheduled for Rihanna’s next studio collection, the follow-up to 2016’s “Anti” reportedly delivers further songwriting contributions from RAYE, Alessia Cara, and Kamille. Fans of TMS’ productions, on the other hand, should keep an eye on the next releases by Taya, Zak Abel, Ellie Goulding, Craig David, Becky Hill, Nick Jonas, Era Istrefi, Louis Tomlinson, Paloma Faith, and Ella Henderson. Stream the following playlist dedicated to TMS’ works! Rihanna has enlisted the songwriting services of RAYE for her new album. The British singer/songwriter – born Rachel Keen – is known for her singles “The Line,” “Shhh,” “I, U, Us,” “Bet You Wish” and “Hotbox.” She has also provided guest vocals on Jonas Blue’s “By Your Side” and Jax Jones’ “You Don’t Know Me,” peaking to numbers 15 and 3 on the UK Singles Chart, respectively. In addition to prepping her forthcoming debut album under Universal Music Group / Polydor Records, RAYE has contributed to the next projects by Little Mix [Syco Music], Rita Ora [Atlantic], Mabel McVey [Polydor], Era Istrefi [Ultra Music], Rudimental [Atlantic], Anne-Marie [Major Tom’s Music], Naughty Boy [Virgin EMI] and Ellie Goulding [Polydor]. Meanwhile, Rihanna is expected to release her ninth studio collection later this year via Westbury Road Entertainment and Roc Nation Records. Watch the music video for “The Line” below. Rihanna has premiered the music video for her new single online. The Barbadian singer-songwriter posted the visual clip for “Sledgehammer” to her Vevo channel on Thursday (June 30, 2016). McPhee (“Round Your Little Finger”) and Lea Michele (“Cannonball”). Production duties were handled by Jessie Shatkin, whose other credits include Kelly Clarkson’s “Invincible” [RCA], Foxes’ “Feet Don’t Fail Me Now” [Sign of the Times] and One Direction’s “Perfect” [Columbia]. The track also serves as the main theme of the upcoming science fiction action film, “Star Trek Beyond,” which was directed by Justin Lin and scheduled for release in the United States on July 22. Watch the music video for “Sledgehammer” below. The Barbadian singer-songwriter posted the visual clip for “Needed Me” to her Vevo channel on Wednesday (April 21, 2016). “Needed Me” was produced by DJ Mustard (Tinashe, Keyshia Cole), Twice As Nice (Ariana Grande, Kid Ink) and Frank Dukes (Eminem, Schoolboy Q). Video treatment was handled by Harmony Korine, whose filmography includes “Kids” (1995), “Ken Park” (2002) and “Spring Breakers” (2013). Rihanna’s latest album “Anti” – featuring previous singles “Work” and “Kiss it Better” – is now available for download via Westbury Road Entertainment in partnership with Roc Nation Records (US) and Virgin EMI Records (UK). Watch the music video for “Needed Me” below. 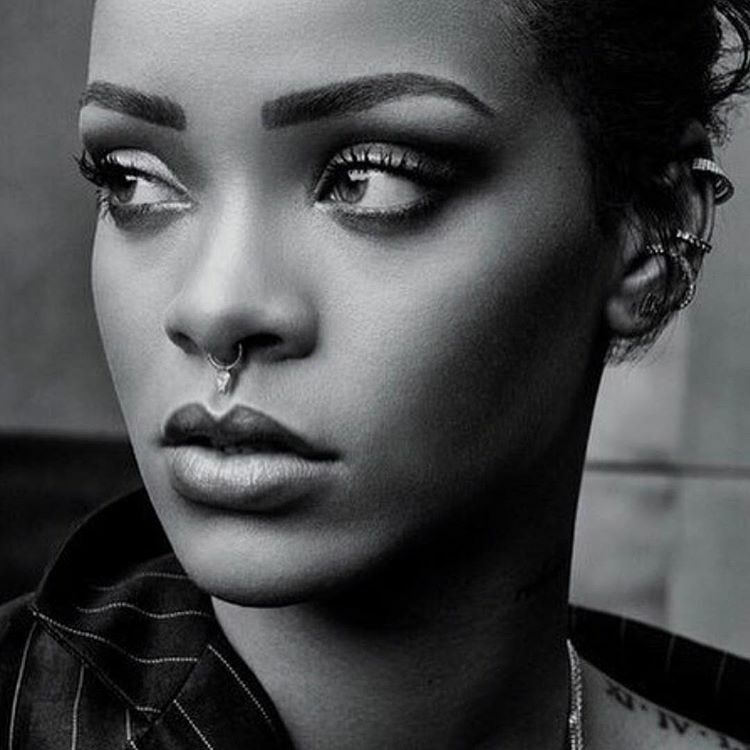 Rihanna has selected her new single. Production duties on “Needed Me” were collectively handled by DJ Mustard (Tinashe, Britney Spears), Twice As Nice (Ariana Grande, Kid Ink) and Frank Dukes (Jeremih, Kanye West). As mentioned in earlier posts, “Anti” – featuring previous single “Work” – is now available for download via Westbury Road Entertainment in partnership with Roc Nation Records (US) and Virgin EMI Records (UK). 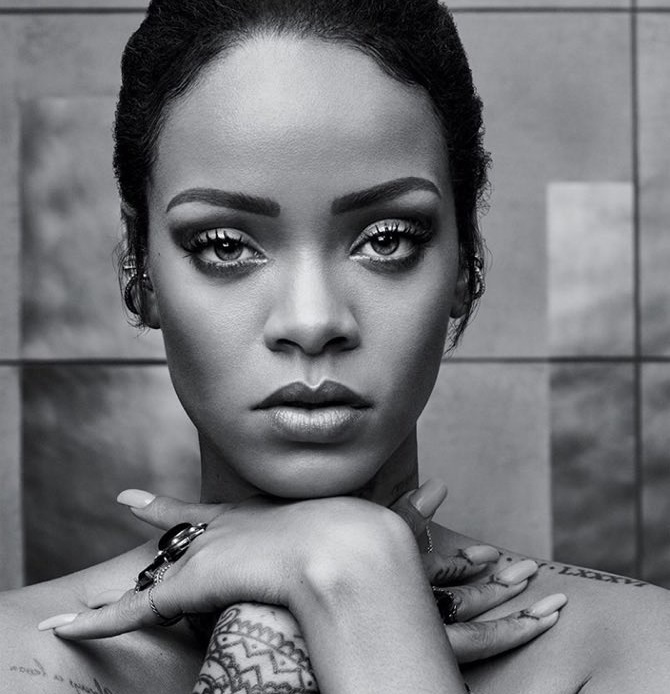 The follow-up to 2012’s “Unapologetic” delivers further productions from Jeff Bhasker (Alicia Keys), Shea Taylor (Beyonce), Brian Kennedy (CeeLo Green), Mick Schultz (Zendaya) and Fred Ball (Jessie Ware). Watch the music video for “Work” below.